Flan is such a treat! If you're unfamiliar with flan, you must try this. It's simply custard with caramel in the bottom of the baking dish. It's smooth, cool, sweet, and beautiful. Now, I've had some bad flan. Let me tell you. There is one very popular Mexican eatery in Downtown Reno that I just don't like. 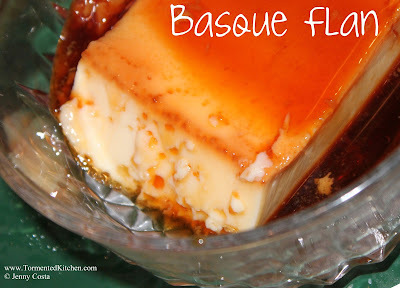 Their flan is very firm, not very sweet, and tastes almost cheesy. Yuck. And then there are times you get flan that is so good, so amazing that it's like your mouth has found paradise. There is one particular person from the church back in my hometown that made pans and pans of amazing flan for church functions. Amazing isn't even descriptive enough as a word. A lot of the flavor has to do with the caramel. If your caramel is very dark, your flan will take on a toasty flavor with a bitter nutty, coffee-like aftertaste. I like my caramel a bit lighter, so there are hints of that toastiness, but it's not so noticeable. Those flavors will mellow and permeate the custard layer if you let it rest in the fridge a day or so before eating. 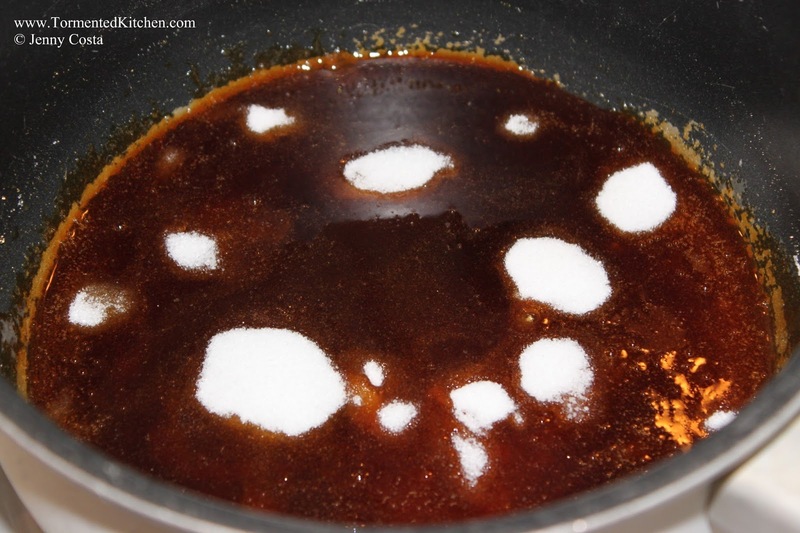 The pan you use for caramelization has a huge impact on how your caramel cooks. I prefer a lightweight (cheap) teflon-lined saucepan. When it's off the heat, it promptly stops cooking. I don't like using my heavy-bottomed stainless pans. They hold the heat too well so when I get that just-right caramel color, it stays hot and makes it too dark. Boo. Yes, I have ruined caramel this way and had to toss it and start over. 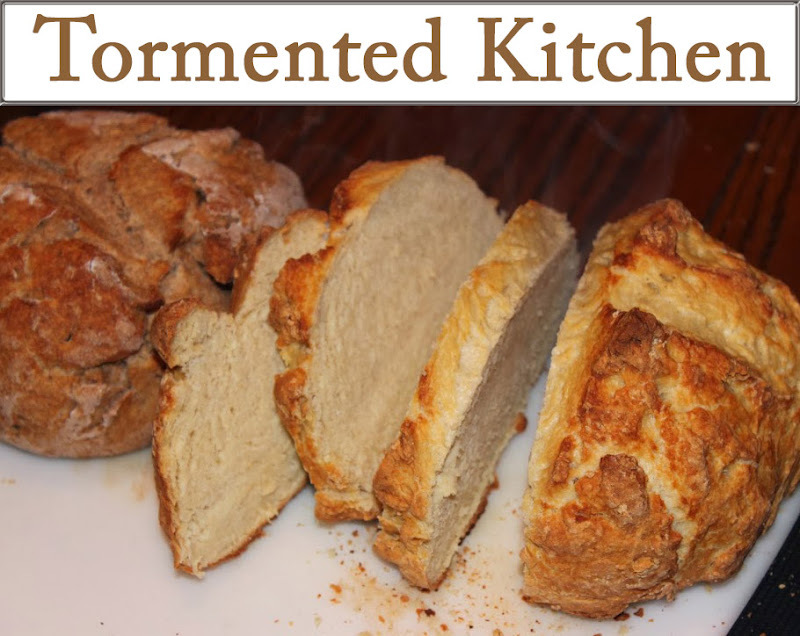 This particular recipe came from one of my dad's former employees that was a cherished Basque family recipe. My mom had the recipe card stuffed into her bag of tricks, so on our last trip to visit I asked her to find it for me. Thank you Larry for passing this on. It's truly a gem! 1. Place 1 cup of sugar in a 2-Quart saucepan and gently caramelize until golden brown. I like to do this over low heat. It's very important that you DO NOT STIR the sugar as it melts. It's OK to tilt the pan a tiny bit to swirl the sugar into to caramel. Just watch that you don't let it burn. Depending on your pan and your skill at melting sugar this will take about 20 minutes. 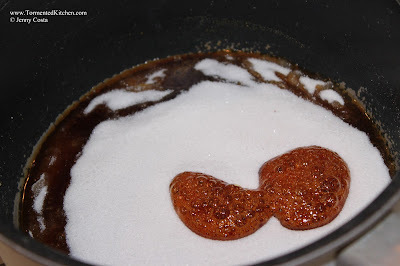 Let me just say, melting sugar directly over heat is very different from when you make caramel with cream or water. It will not boil. It will simply melt and turn brown. It is very easy to burn it this way. Stirring will make this seize up. DON'T STIR! Tilt, swirl, and wiggle the pan instead. 2. Immediately pour this into the bottom of a 2-Qt. 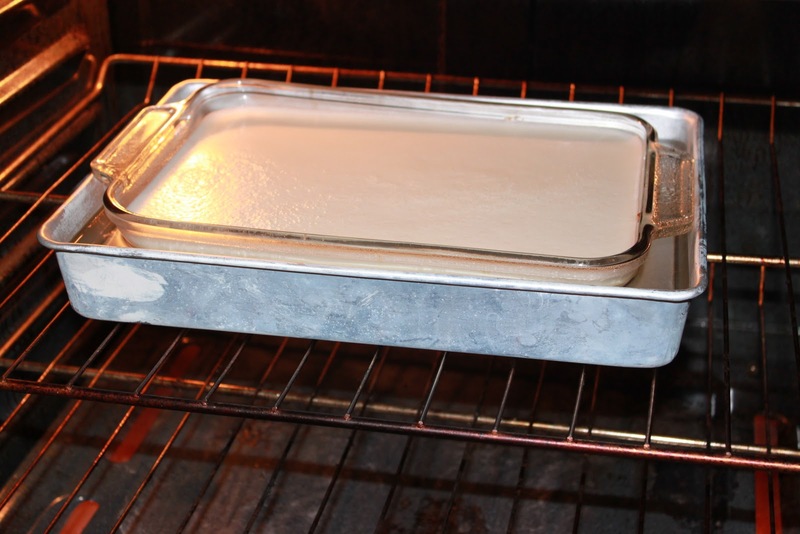 baking dish (Pyrex or Corning Ware are really good for this). 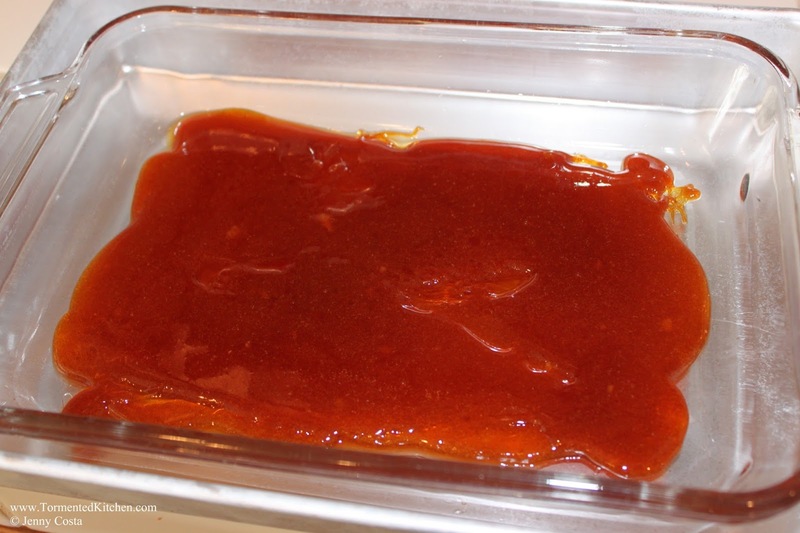 The caramel should harden in the dish as it cools. This is normal. It doesn't have to be spread perfectly over the bottom of the dish. I do recommend that your dish is a bit warmed for this step so it doesn't accidentally crack. 3. In a mixing bowl, beat the eggs until thick and lemon colored. Add the other 1 cup of sugar and blend well. 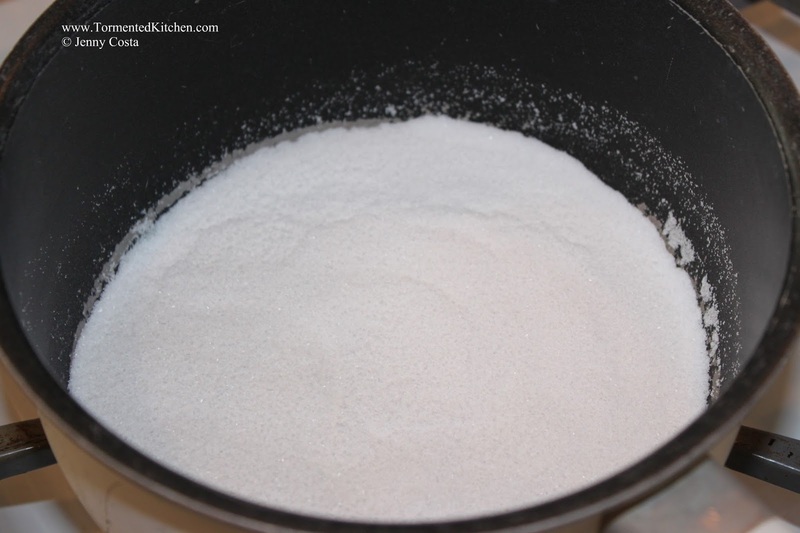 Beat the milk into the egg-sugar mixture. Stir in the salt and vanilla. 4. Pour the egg mixture through a fine sieve or chinois to make sure that it's really smooth. Now pour the strained mixture into the prepared baking dish. 5. You will also need another pan the the baking dish will fit in. Pour hot water into the outer pan so it comes up about 3/4 of the way. 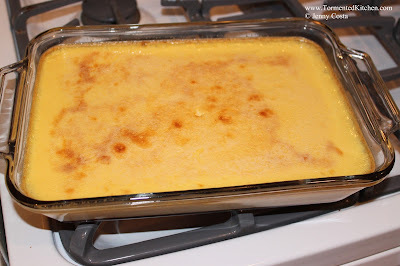 This is known as a Bain-Marie and it helps make sure the custard doesn't burn and it adds moisture to the oven. I like to place the flan pan into the empty 9x13 pan on the oven rack and then pour boiling water into the outer dish. Be careful if you do it this way so you don't pour boiling water into the flan. 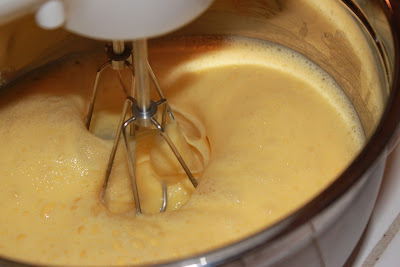 Using a water bath also helps the custard set up so it's smooth and not grainy or curdle-like﻿ in texture. Trust me, grainy flan is bad stuff. Don't skip the water bath. 6. Place the pans into a 350F oven and cook for about 1 hour and a half for a 9"x13" pan (at high altitude, of course). Low altitude chefs, your flan may only take an hour. You should be able to insert a toothpick or knife into the center and have it come out clean. It will be still be wiggly-jiggly if you shake the pan, so be sure to use the knife to check if it's done. 7. 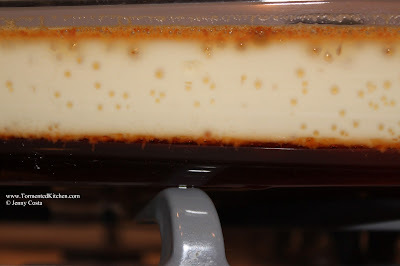 Remove the flan pan from the water bath and let cool. Be sure to keep it in the fridge if you aren't going to devour it right away. 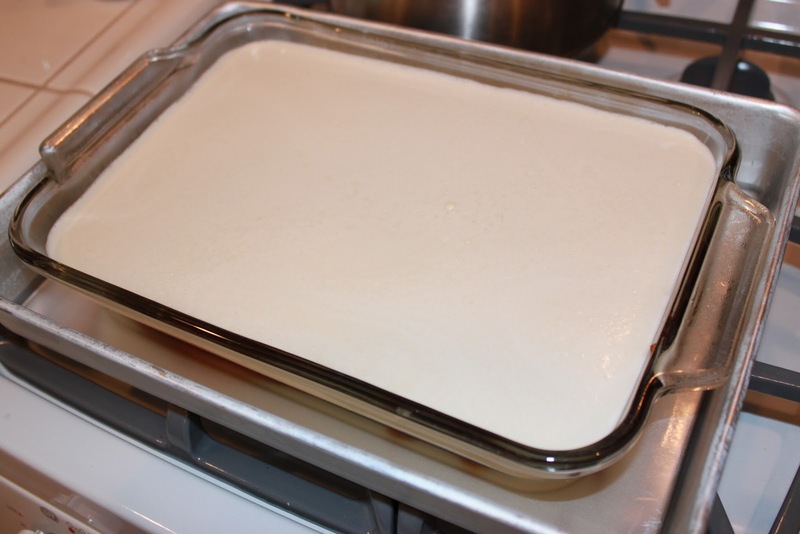 Also, the flan is fairly delicate, and overnight refrigeration helps it firm up a little so it's easier to serve. Look here, see the layers? The caramel has absorbed moisture from the custard and turned into a syrup. There are tiny bubbles in the custard. 8. To serve, either scoop out a serving with a good-sized metal turner, or you can tip out the whole thing onto a serving platter or cake stand (with sides). Part of the beauty of flan is seeing the caramel syrup puddling around the custard. You can serve this with the caramel syrup alone, or add a dollop of sweet whipped cream. Just a note, you can make this in individual ramekins. I just haven't had a chance to try it out and get the timing down. My ramekins hold about a cup (8 ounces). According to other recipes I've seen, low altitude bakers would aim for 15-20 minutes for that size. I'd say aim for 20-25 minutes and be sure to test for doneness with a knife.